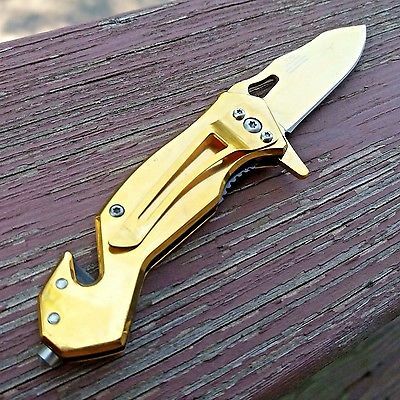 GOLD CHROME Spring Assist Pocket Knife Glass Breaker Legal 2.7" Boy Scout Blade! 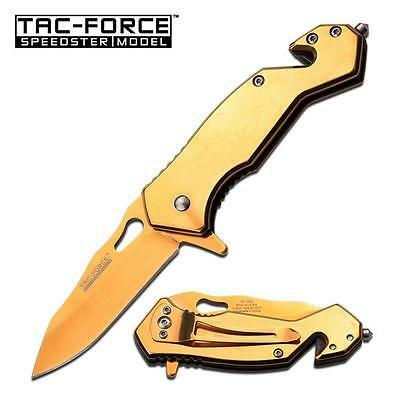 On a budget for your EDC (everyday carry) collection, and want something not so bulky in your pocket? 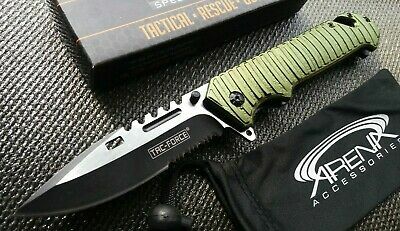 Here is the perfect knife for you, designed in the USA. 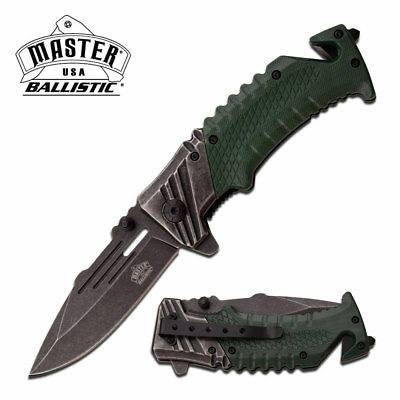 You aren't going to find a knife like this with ALL of these features in one small package, in your local sporting goods store for this LOW price. 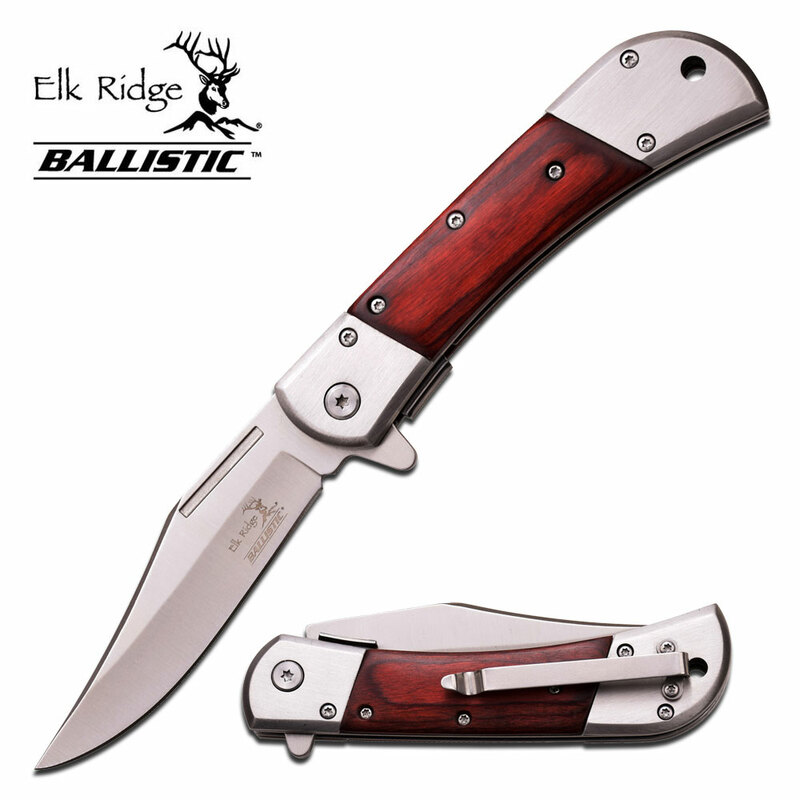 This is an excellent knife for boy scouts or cub scouts that sometimes require under a 3" blade. 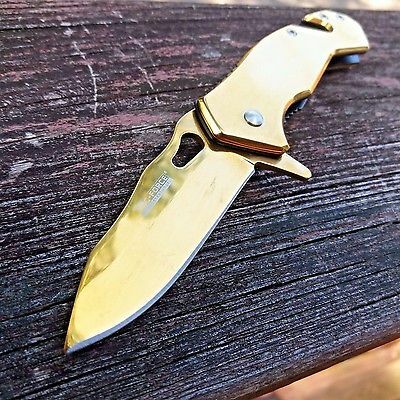 This awesome pocket knife features an all gold chrome design as well as spring assisted opening action, which makes it a in most states! Opening is the same as regular folder... but once the opening process is manually started, then the internal spring assist kicks in and helps to fully open it. 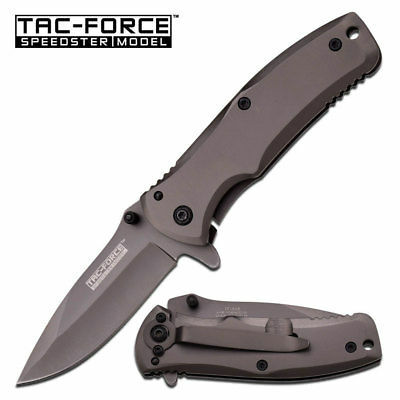 Spring assist safely makes a knife quick, smooth, and easy to open!